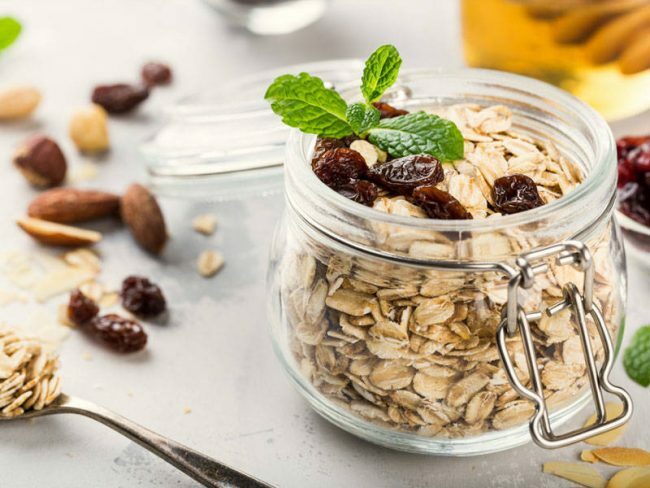 Oats are one of the healthies breakfast options as they are loaded with nutrients like zinc, calcium, magnesium, manganese, copper, folate, biotin, and phosphorous. The dietary fiber and minerals present in oats help in keeping the heart healthy by lowering cholesterol, controlling blood sugar and hypertension and aiding weight loss. Oats are also good for the skin, have anti-cancer properies and have a reasonable amount of anti-oxidants. Here are some healthy breakfast options that you can choose from. This dessert recipe is low in calories and can be cooked very easily at home. Oats Uttapam is a delightful breakfast recipe which is loved by people of all age groups and tastes best when served with different types of chutneys and sambhar. For all the fitness freaks and gym enthusiasts, this delectable recipe is a true delight! This healthy dish is truly delicious and full of protein and is prepared using oats, chana dal, toor dal, onion, urad dal, moong dal and a melange of spices. Soft, fluffy and spongy, this is a healthy snack recipe prepared with semolina, curd, green chillies, coriander leaves, and a few spices. If you are looking for an oats preparation with a twist, this is your go-to recipe. Oats Chaat is extremely delicious as well as a healthy option to try when you are craving for street food. Want to have something healthy for those hunger pangs? Prepare this amazing dish in advance.